Easter is early this year, and for some reason it feels really early. The kind of early that makes you feel unprepared. Whether you’re hunting for brightly colored eggs and chocolate bunnies or just celebrating with family and friends… you’ll likely be cooking something. Ham, lamb, or turkey: dinner is covered. But what about brunch? There are so many options, your head might be spinning. We have a recipe to share with you that is simple with only 5 main ingredients, and easy enough for any home cook to execute. 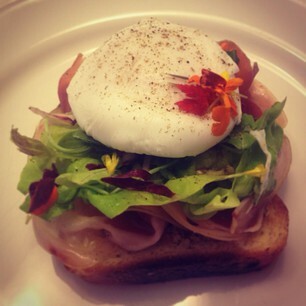 An open-faced sandwich that will satisfy any hunger: toasted brioche covered in melted Gruyere, lemony greens, prosciutto, and a creamy, sunny-side-up egg nestled on top. It sounds too decadent to be called simple, but rest assured, it truly is easy peasy. And you can get all of your ingredients in one stop, here, at the Calgary Farmers’ Market! Yes! this really is all you need to make a delicious brunch that is sure to impress. The brioche, a flaky pillow of yum, is lightly toasted, buttered, then topped with grated-turned-gooey Gruyere. A salty prosciutto ribbon: the perfect place for fresh, lightly-dressed flowery greens to lounge about, waiting to be topped with a rich, poached egg. So, let’s get started! 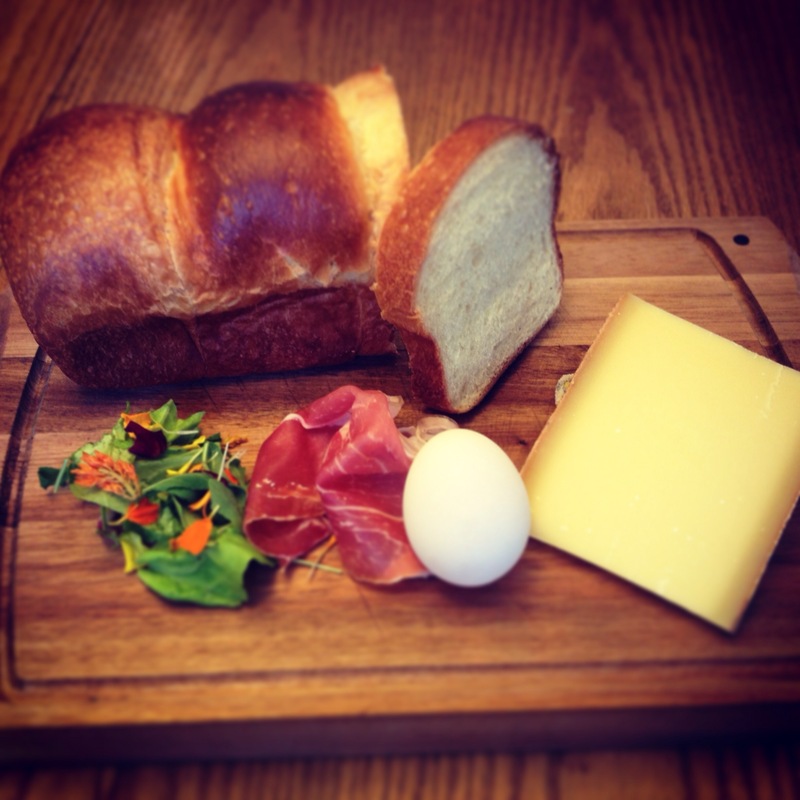 Slice your brioche into slightly thicker slices… about an inch thick. Lightly toast and top with a small pat of butter. Sprinkle the grated Gruyere over the warm slice of heaven, *ahem*, brioche; this is where you can spread your wings and add as much cheese as is to your liking. We recommend a happiness-inducing dose of cheese, always. Set this aside while you poach the egg. Afraid of poaching? No problem, you can fry the egg too. Poaching the egg, however, achieves the ooey-gooey soft centre that is best achieved when swirled into hot water. Crack the egg into a ramekin or small bowl. Bring a pot of water with a splash of vinegar to a boil. 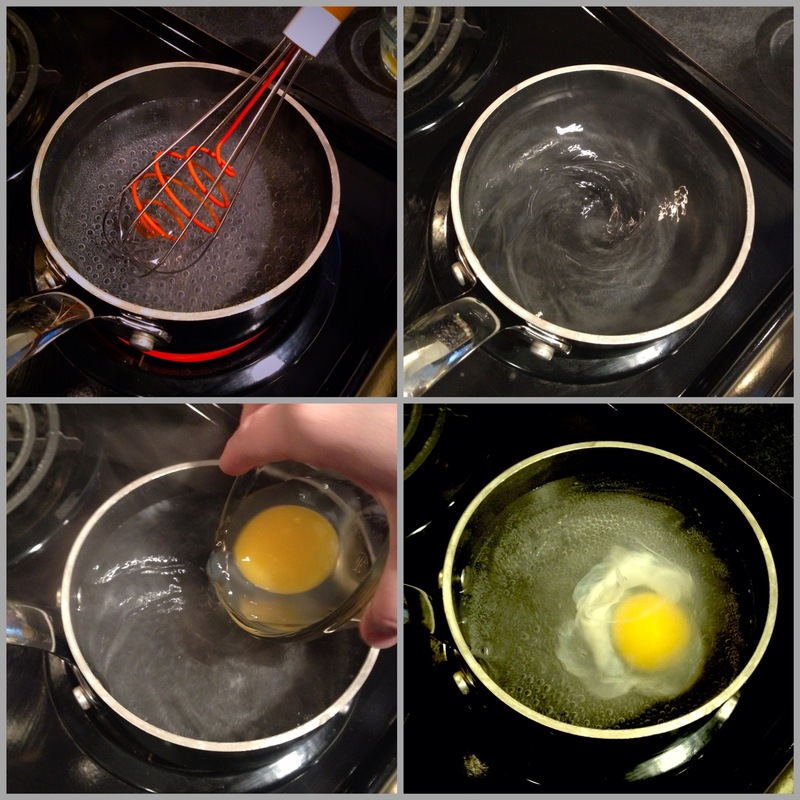 Then, in one round motion, swirl the water to achieve the perfect bubbling hot tornado for the egg to be whisked away. Slide the egg from the ramekin into the swirling water, and voila! An ‘all-together’ egg on its way to being poached perfection. Poach 2-3 minutes. If this still scares you (or you need to make many eggs at once), you can absolutely use the very convenient poaching pods/cups found at most kitchen retailers. Or if you have an Instant Pot, place eggs on the steam rack with a cup of water in the bottom and cook on the steam function for 3 minutes. Vent, remove eggs, and place in cold water to stop the cooking process. While the egg is poaching, slide the Gruyere-topped brioche under a broiler to melt cheese, (this doesn’t take long), remove when bubbly and gooey. Top with prosciutto (at this point, you can choose to return it to bask under the broiler to crisp up the prosciutto, but this is entirely personal preference). Lightly toss the greens in a little freshly-squeezed lemon and olive oil and place on top of the cheesy-meaty toasted brioche. 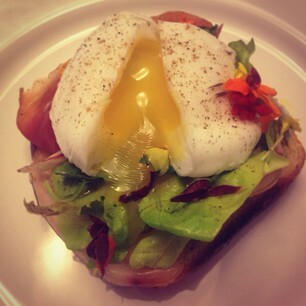 And lastly, nestle the soft-poached egg on top of the lemony microgreens. Sprinkle salt and pepper to taste, and enjoy! Some may think the ‘salad’ portion of this sandwich can simply be served on the side, but the acidity of the lemon and freshness of the microgreens is actually the perfect marriage with the rich, creamy yolk of the egg. So, what will be on your plate this Easter?